The shelf is ~18” w x 7” d x 5” h.
This small fir shelf prominently features a wolf in aluminum. It can be a beautiful addition to an entrance way, a home office, or wherever a small shelf is needed. Design and fabrication are a collaboration between FREELINE studio and Vancouver-based First Nations artist Hollie Bear Bartlett. 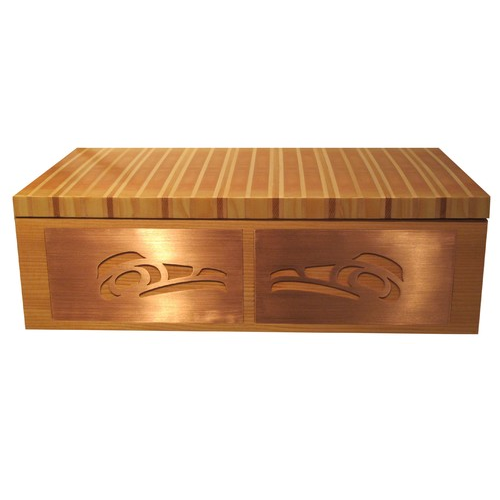 Hollie’s metal designs are modern yet deeply rooted in Haisla First Nation spirituality and tradition.